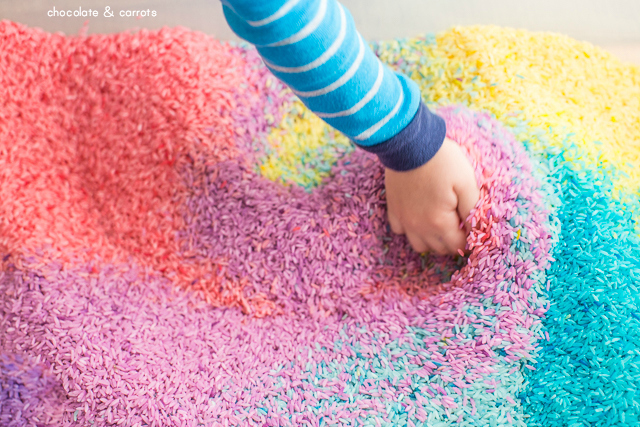 A Rainbow Rice Box is a fun project for toddlers to help make and gives them a sensory activity for hours of play time! 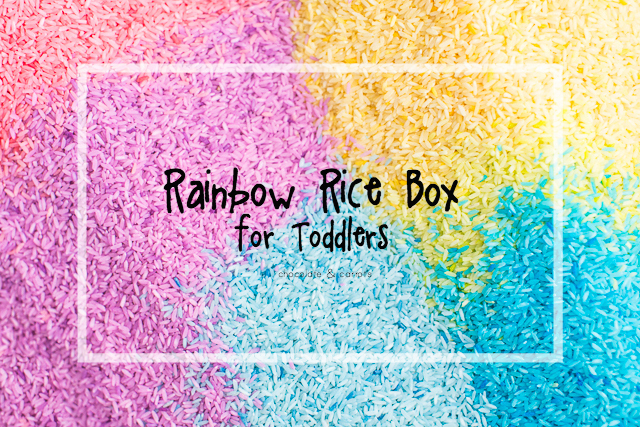 Our Rainbow Rice Box has been attributed with hours of playtime in just the few months that we’ve had it out. It’s fun because I got our toddler involved in the making shaking of the rice and after it had dried, he got to play in it! 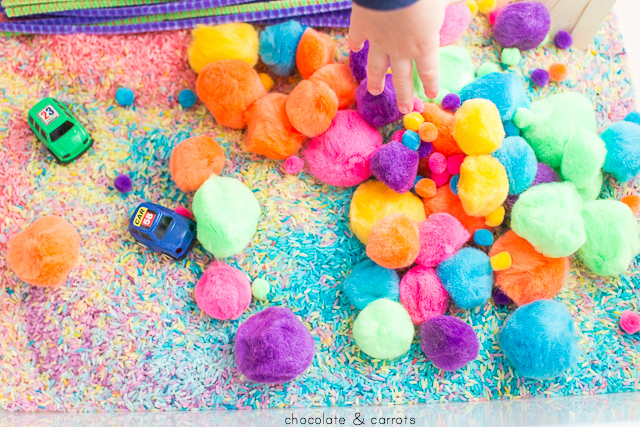 During the cold weeks, we kept it inside and I just vacuumed the inevitable rice spillage. However, now that the weather is beautiful here in Charleston, we’ve moved it to the patio and he’s gotten even more play out of it! I put it in a large plastic bin with a lid on it (you know, the kind that you put your halloween decorations in and store in the attic?) so it’s completely contained after we’re done playing. 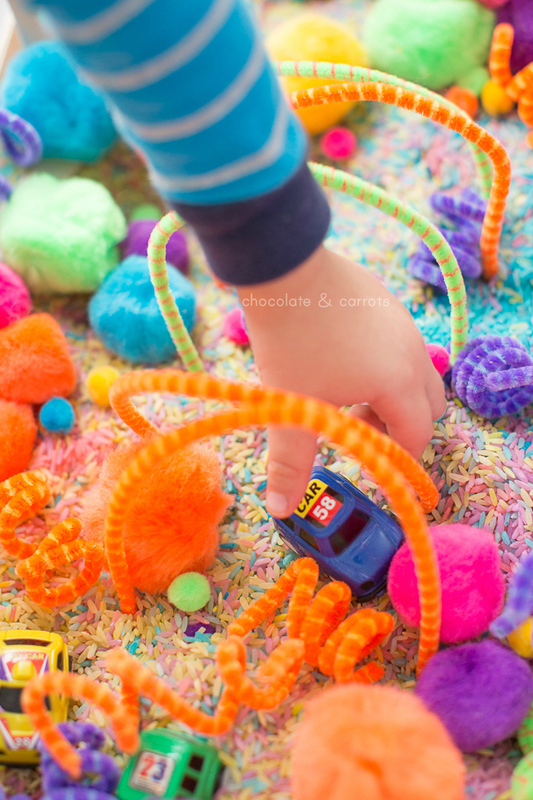 Since Liam is so into cars, I filled it with lots of car obstacles and of course, cars. 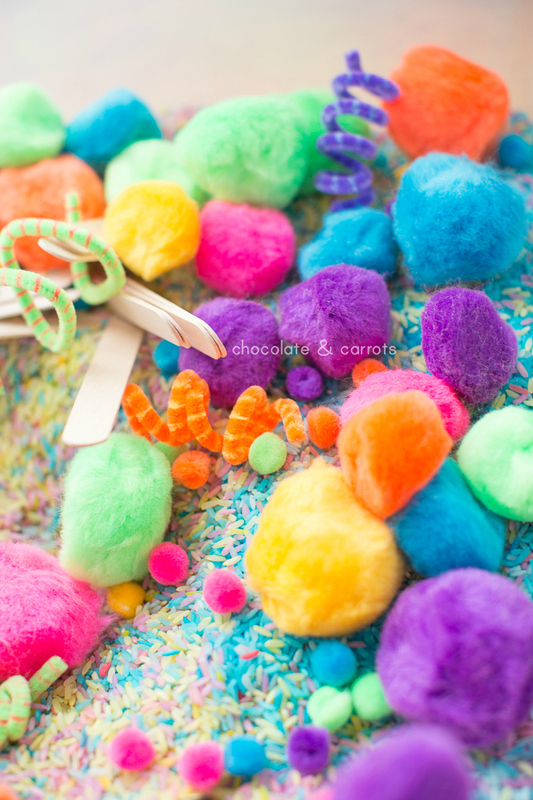 But, you can get really creative with what you add to the rice and change it up to spark more creativity! I can’t wait to see what you come up with! Happy Rainbow Rice Making! In six gallon-sized bags, add 4 cups of rice, 2 tablespoons rubbing alcohol and food coloring (dropped to customized color) per bag. I did about 20 drops of food coloring per bag. 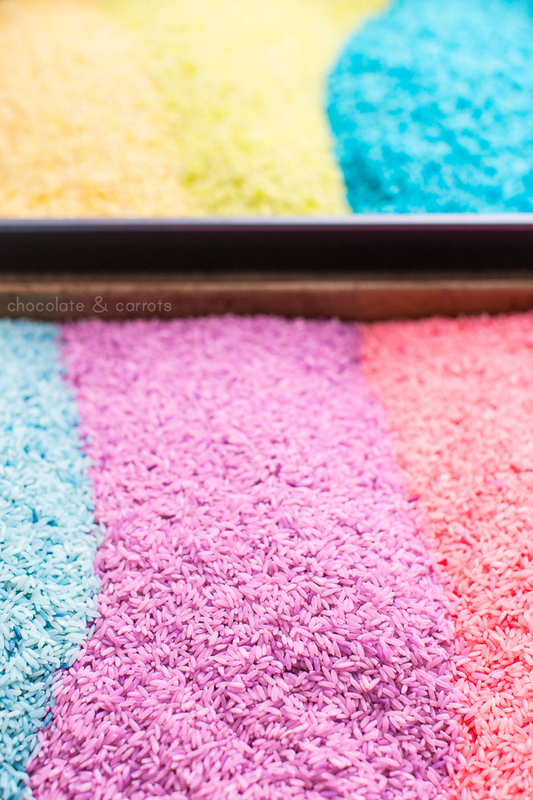 Pour the colored rice onto baking sheets (with sides) and allow to dry for 48 hours, or until completely dry. 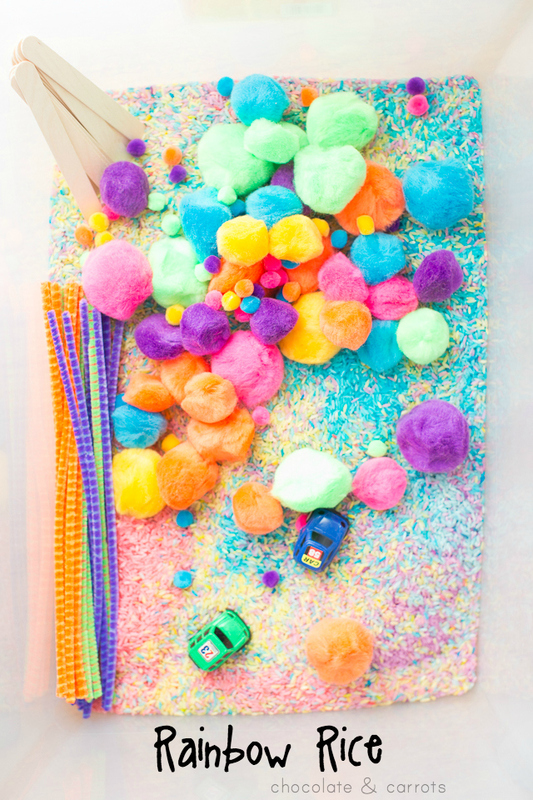 Pour the dried rice into a box and add the toys and trinkets! bottles with larger and smaller openings and small pitchers they could pour the rice from the pitcher in to the bottles. They would have enjoyed it in color!